It is a pleasure to have the opportunity to profile some of our local Landcarer’s. 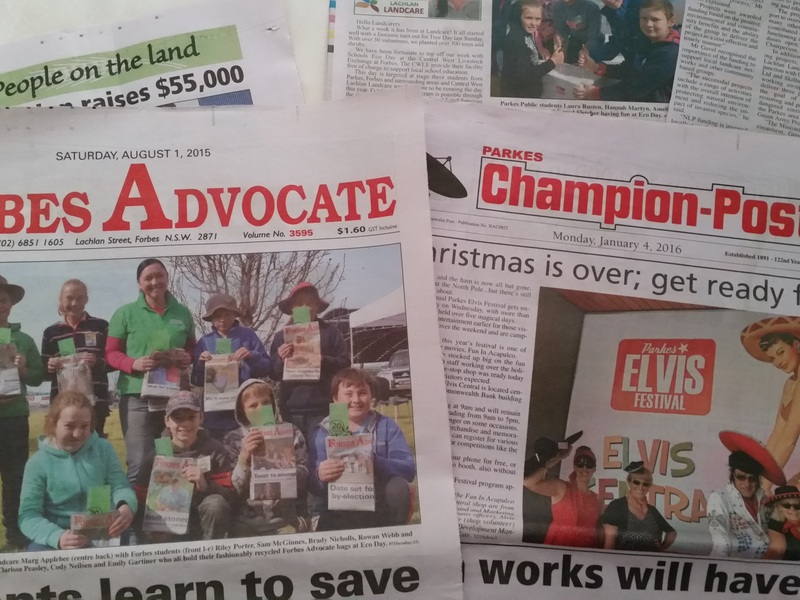 This week Ali and Warren Plummer have been kind enough to share about their involvement in Landcare and the Forbes community. Warren and Ali both emanate from farming backgrounds. Warren was in the cotton industry for 30 years and up until they bought the BIG4 Forbes caravan Park, he was the branch manager at Narrandera for Hutcheon and Pearce. Ali was in the rice, wheat and fat lamb industry and until moving to Forbes, a department store office manager. The couple have a love for the land and know how impacts on our farmers affect our community. 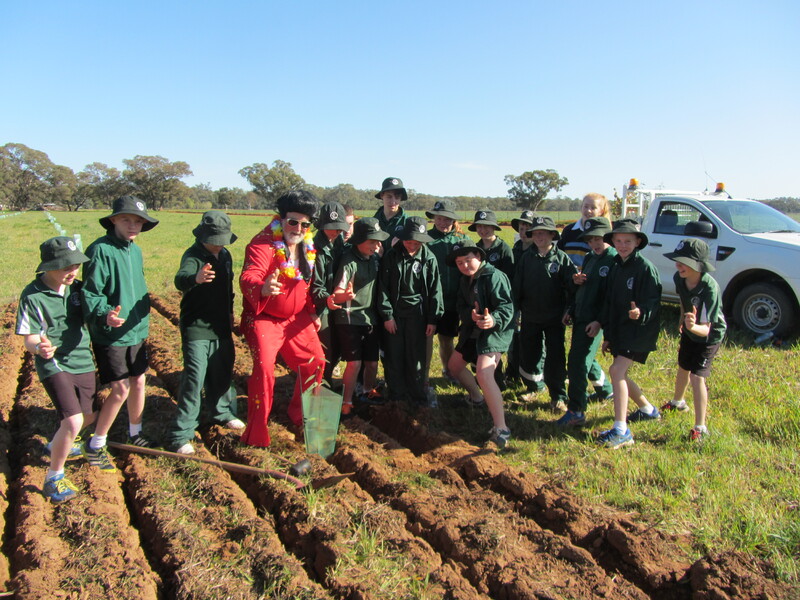 Between them they have planted thousands of trees in several farming locations across Australia. Warren and Ali were married 18 months ago and decided that they wanted to work together and after extensive research decided to buy The BIG4 Forbes Caravan Park. Forbes was always a stop on the way to getting somewhere else for the couple before moving. Once they came and had a look around they were amazed as they hadn’t realised how beautiful and large Forbes is. On top of that, the people are friendly and they have been made very welcomed in the community. Their park is a transient one, being an overnight stop for most travellers, but increasingly others are seeing the opportunity stay an extra day and discover the rich history and diversity of the area, swearing that they’ll be back. In July 2015, CWLL was offering 100 trees or shrubs to members to enhance corridors or provide wind breaks and Ali was quick off the mark to say ‘yes’ because they are inundated with bird watchers from all over Australia at the Park. Ali’s flowering shrubs are doing very well and they hope to attract more birdlife too the park. Our little blue wrens and various finches and honey eaters are thriving along with our very friendly magpies (although the maggies do not like our postie). These trees and shrubs will contribute to the important wildlife corridors in our area that support our bees and birds and the occasional possum. A big bonus is that guests love them!